Last night we had the absolute pleasure of reconnecting with an old friend. A lovely evening was spent catching up, and eating. For dinner we had BBQ Beef Sandwiches, Roasted Potatoes, and Caesar Salad. This gem was for dessert. It wasn’t chocolate, so obviously not my very favorite dessert, but as fruity desserts go it was pretty darn good! 1. 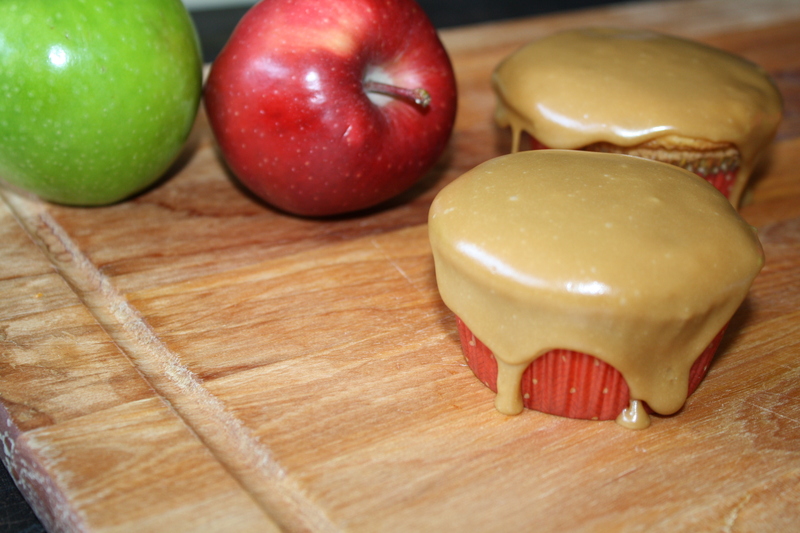 Mix together the apples, caramel sauce and cinnamon, place in an ungreased 8 inch square baking pan. 2. 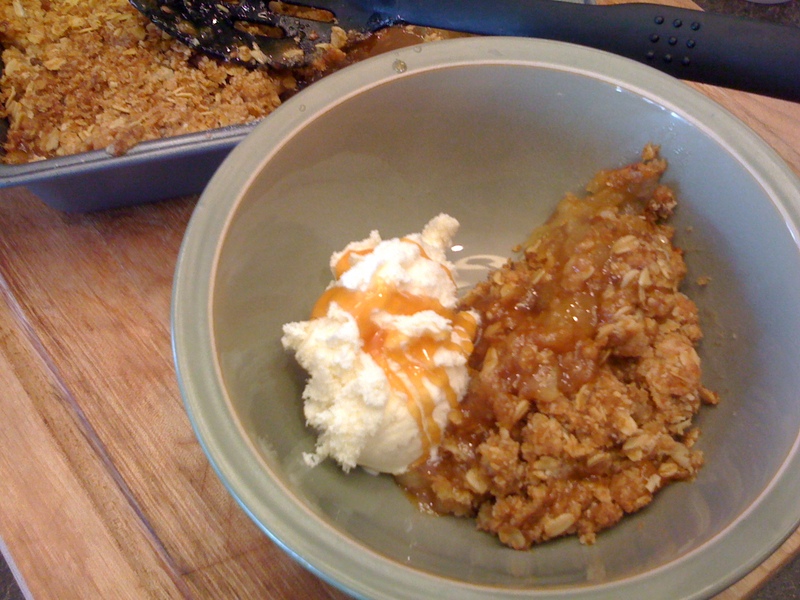 Using the same bowl, mix together the flour and brown sugar, cut in butter until crumbly. Stir in oats. Pour on top of apple mixture. 3. Bake for 45 minutes at 375 degrees. It is time for another Crazy Cooking Challenge and this month it is Grilled Cheese Sandwiches! We usually have the standard Kraft singles grilled cheese served with Campbell’s tomato soup. A combo that just can’t be beat! However, now that I have found this gem of a recipe from a wonderful blog Closet Cooking I may have to change my tune. I didn’t really realize that there were so many grilled cheese options out there, sure I like to melt a little smoked gouda once in a while, occasionally I have dabbled in havarti with jalapeno, however Kevin really has mastered the grilled cheese! 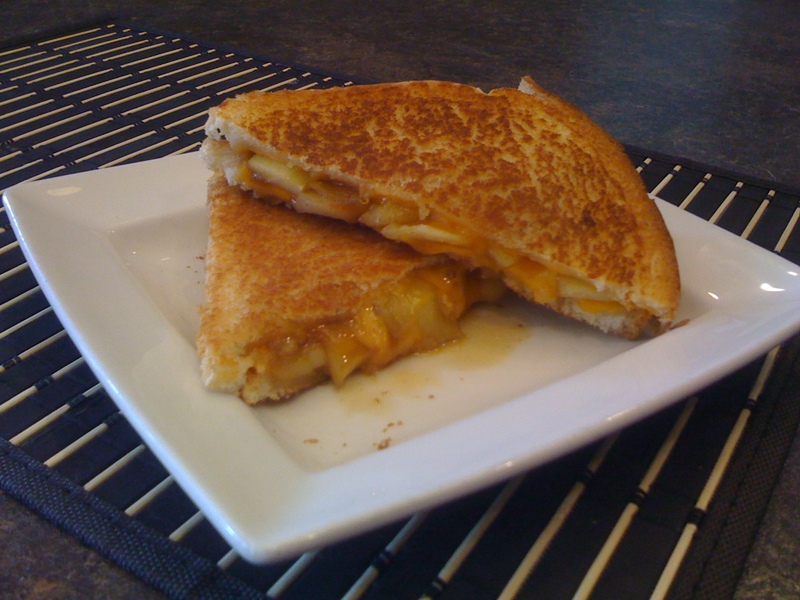 Go check out his site for oodles of grilled cheese (and other) amazing recipes! Here is the one I chose because it just looked plain delicious! 1. In small skillet melt butter and add brown sugar and cinnamon. Cook until brown and bubbly. Add apples and cook for about 5 minutes. 2. Spread each bread slice with 1/2 Tbsp of butter, assemble sandwich butter side down on skillet, top with one slice cheese, apple mixture, second slice cheese, and bread with butter on outside. 3. Cook over medium heat, flip when first side is golden brown, continue cooking until second side is golden brown.